Our shop is a full-service apparel design, pattern making, sample making, and small lot production atelier. In addition, we offer decorated apparel and embroidery or embroidered patches are the methods we use to personalize fleece baby blankets. 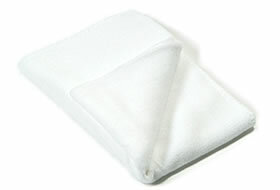 We offer a variety of layouts for you to create a personalized, embroidered custom fleece baby blanket. 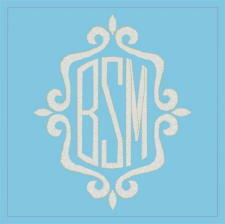 You may have your fleece baby blankets embroidered with you're baby's name & birth date, monogram, choose from many embroidered baby designs or come up with a layout of your own. 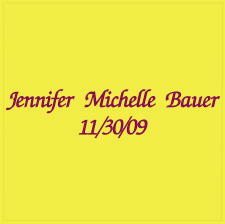 The personalized embroidered fleece baby blankets you see on our site, are only a few examples of what we can do. Browse through the different design layouts then fill out the custom fleece baby blanket order form. When you buy a cheap fleece baby blanket, that is exactly what you get… A cheap fleece baby blanket. 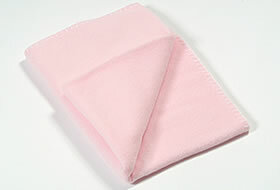 Cheap fleece baby blankets are dull, thin and pill after only a few washes. 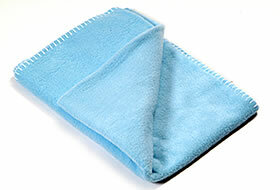 There are hundreds of embroidery or decorated apparel companies that offer "Cheap Fleece Baby Blankets". 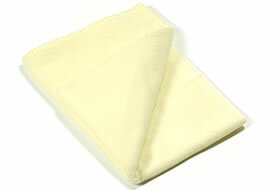 We also offer blank wholesale fleece baby blankets, with a 1 case minimum. 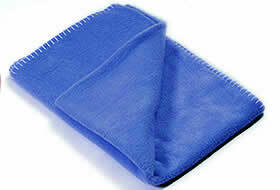 For wholesale fleece baby blankets, click here.